In the search for assets to grow your library of resources for architectural visualization you probably have textures as the second item on your list, right behind furniture models. There are several sources of free textures available nowadays, but it is never too much to get additional files for variety. 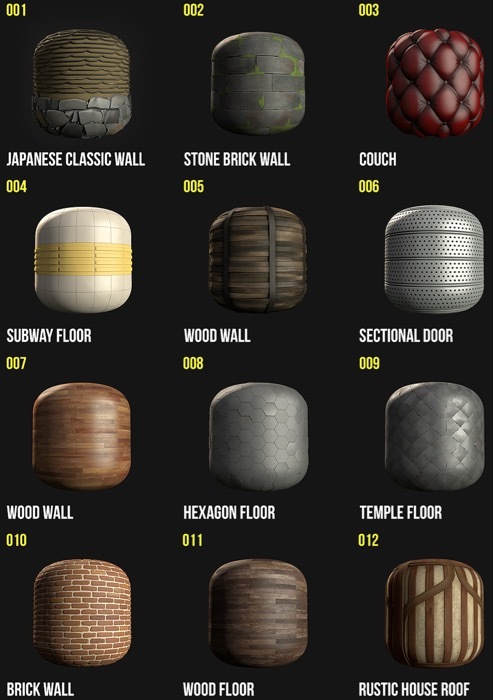 The texture collection we are sharing today has a focus on game development, but you could use them for architectural visualization. An artist focused on game development called Aender Lara posted on Gumroad 12 free high-resolution textures. That makes the collection perfect to create PBR materials! As for the license, you can use the textures in commercial projects with no restrictions according to the author. How to download the textures at no cost? Just set the “fair price” on Gumroad as zero before you download, and you will be able to get them for free. If you have plans to use those textures in commercial projects, it would be nice to reward the author.